Animal lovers, rejoice! There is finally animal-based emoji app available for iMessage iOS 10. The pack includes emoji that fits into every kind of situation It also has many expressions for pretty much every situation. There are many to choose from. 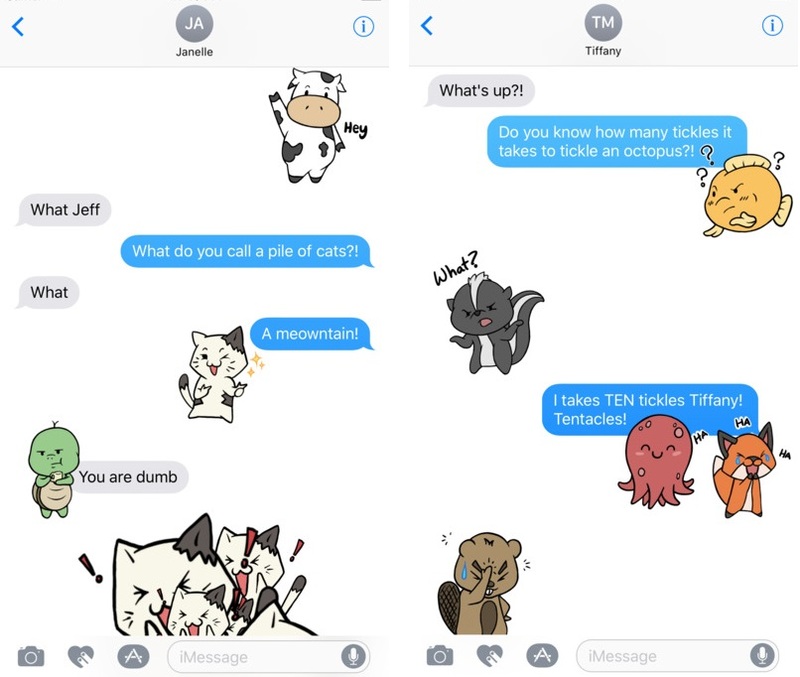 To add this sticker app to your iMessage app Shelf just follow few steps. 1) Launch Messages and create a new conversation or tap an existing one in your conversation list. 2) Tap the App Store button to the left of the text field to open your app drawer. 3) Tap the App Shelf button in the bottom left corner, it resembles four ellipses in a grid. 4) Tap the Store button.